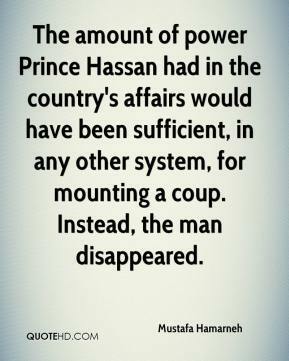 The amount of power Prince Hassan had in the country's affairs would have been sufficient, in any other system, for mounting a coup. 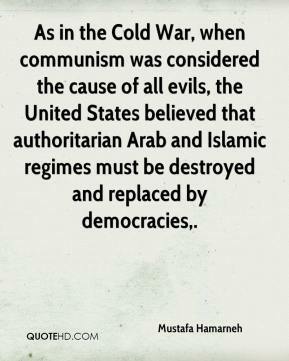 Instead, the man disappeared. 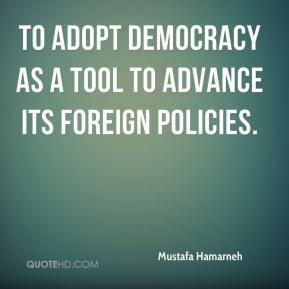 to adopt democracy as a tool to advance its foreign policies. 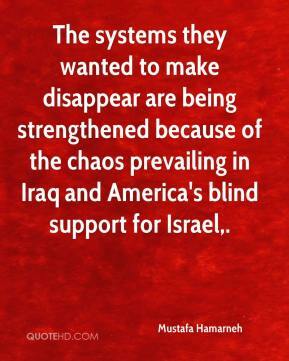 The systems they wanted to make disappear are being strengthened because of the chaos prevailing in Iraq and America's blind support for Israel. 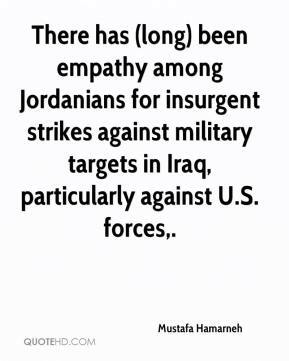 There has (long) been empathy among Jordanians for insurgent strikes against military targets in Iraq, particularly against U.S. forces.